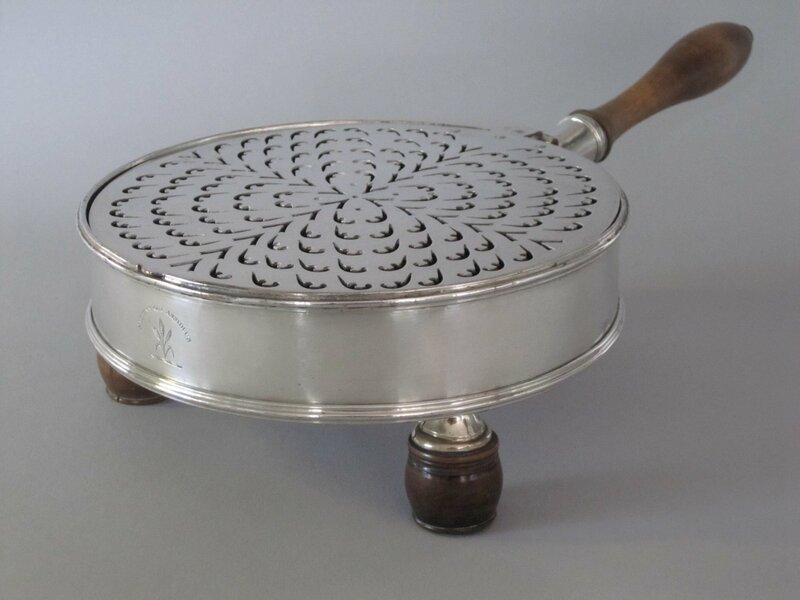 Description: A very rare late 18th Century Charcoal brazier table warmer, circa 1790. Having a removable wooden handle, and a hinged pierced lid. Illustrated in G. Crosskey, Old Sheffield Plate, Treffry Publishing, 2011. Page 230, fig. 230.